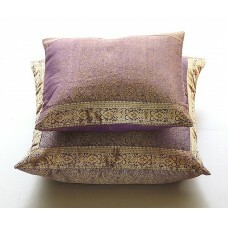 The lotus flower has long been recognized as a spiritual symbol of iconic beauty and purity. 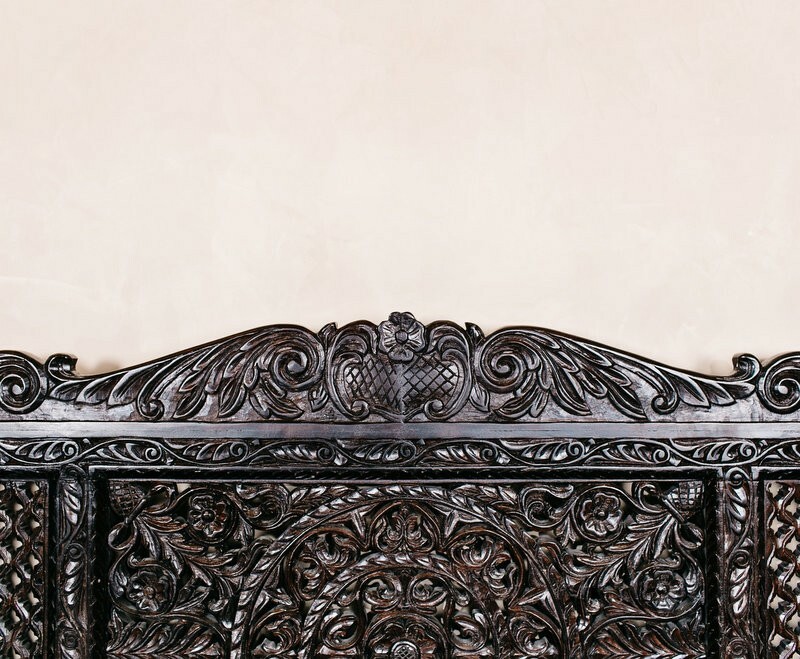 The Carved Lotus Day Bed features an inspired symmetrical hand carved lotus flower headboard, framed by thick beams of solid wood. 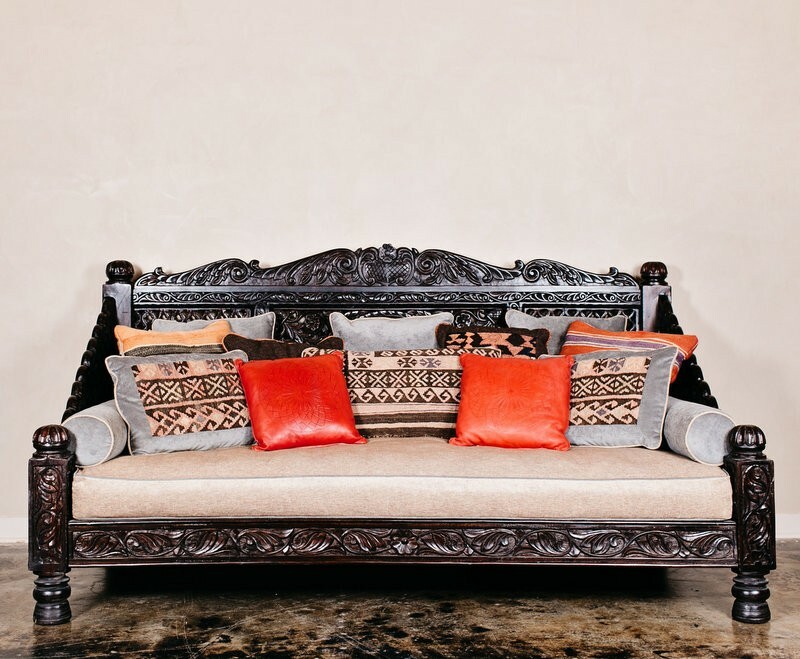 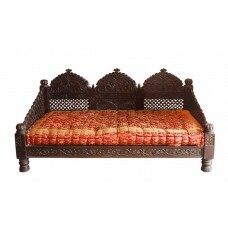 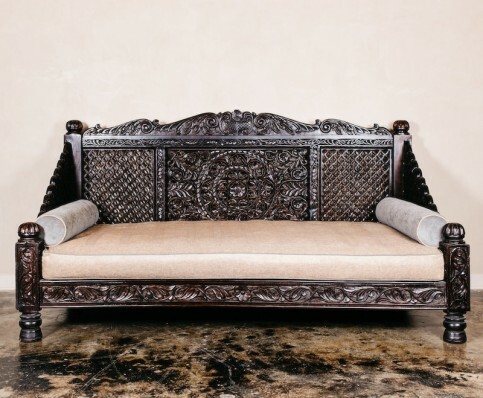 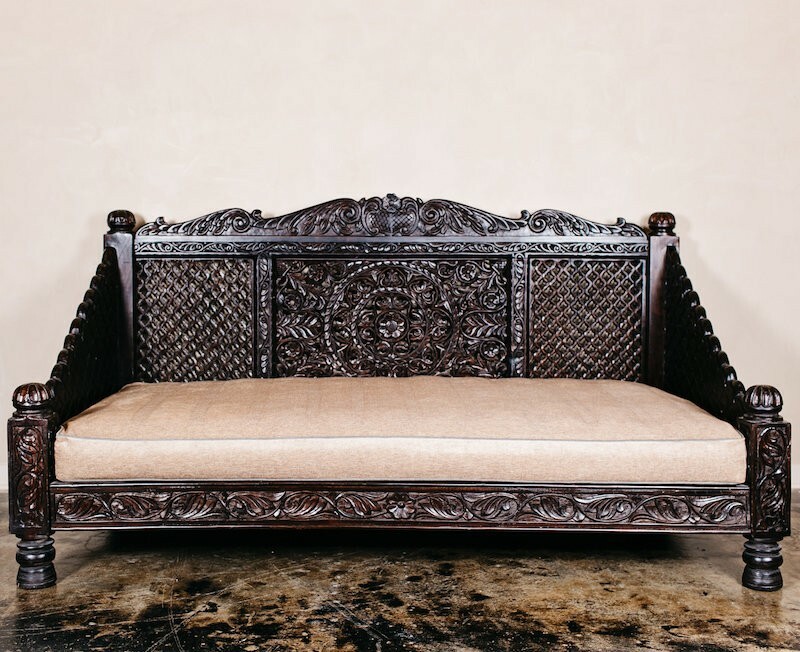 The entire daybed is hand carved from Neem wood of the Mahogany line, in our warehouse in Rajasthan, India. 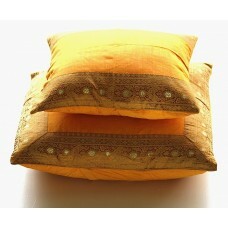 It is designed collapsible for simplified transport. 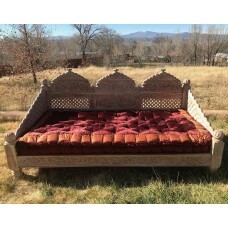 Mattresses and cushions sold separately. 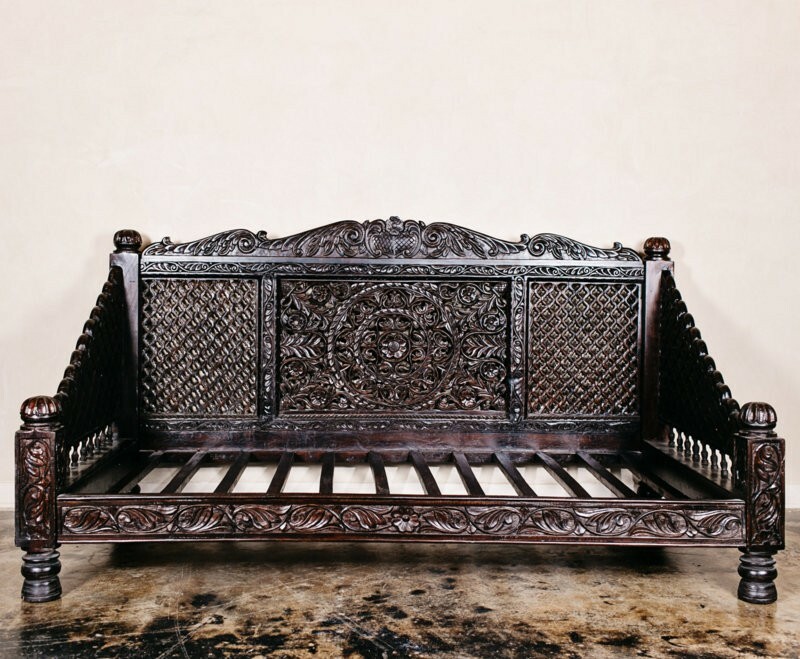 You're reviewing: Hand Carved Lotus Daybed, Dark Finish, 88x46x36"